Building built in 1990 to house Friendly True Value. 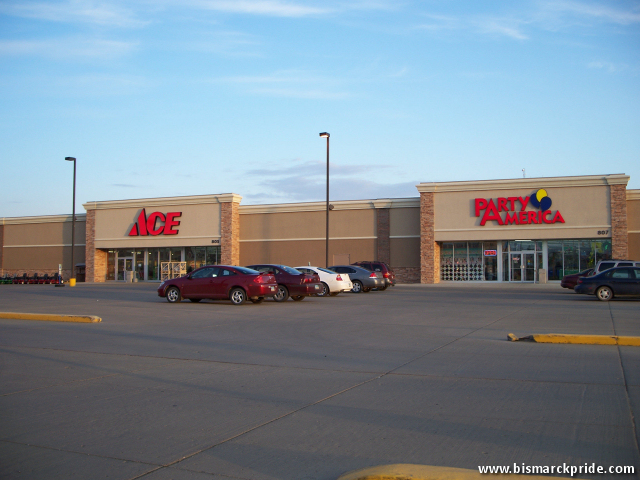 After the True Value closed for its second (and final time) in 2006, Kirkwood Ace Hardware (formerly Hardware Hank) relocated into the building. Party America relocated shortly after. 3rd Street Parking Ramp and Modern Eyes visible.